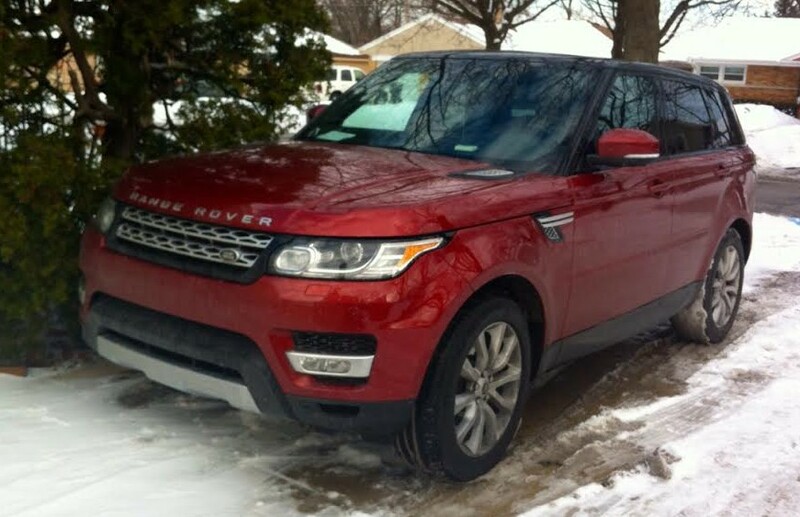 Our $68,495 (including $895 destination) Range Rover Sport HSE arrived just in time to do battle with Chicago’s winter worst. 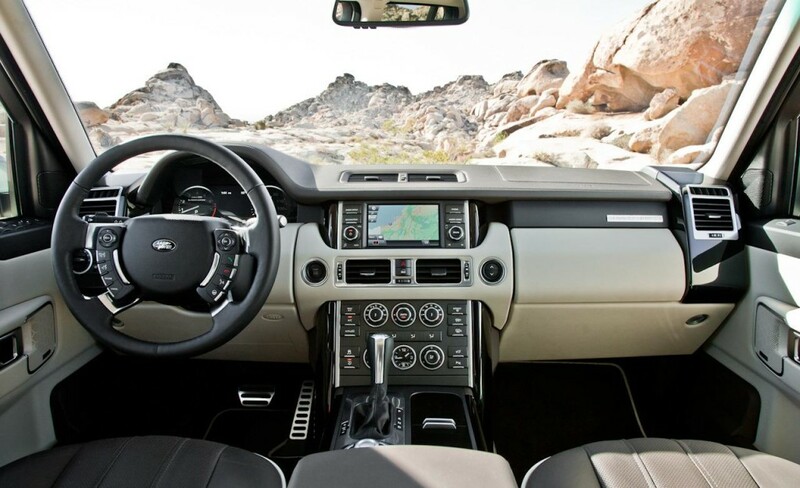 While most Land Rover vehicles are engineered to take you just about anywhere you could want to go, the question that always occurs to me whenever I drive one is how can you “get away from it all” when you’re bringing so much of it with you? These babies seemingly have everything—which a buyer might reasonably expect from a midsize SUV that, like the 2014 Range Rover Sport HSE in this test, starts at $68,495. You may not even realize that you’ve outdriven civilization until you get to a place where you can no longer pick up a terrestrial radio signal—but then there’s satellite audio to pick up the slack. 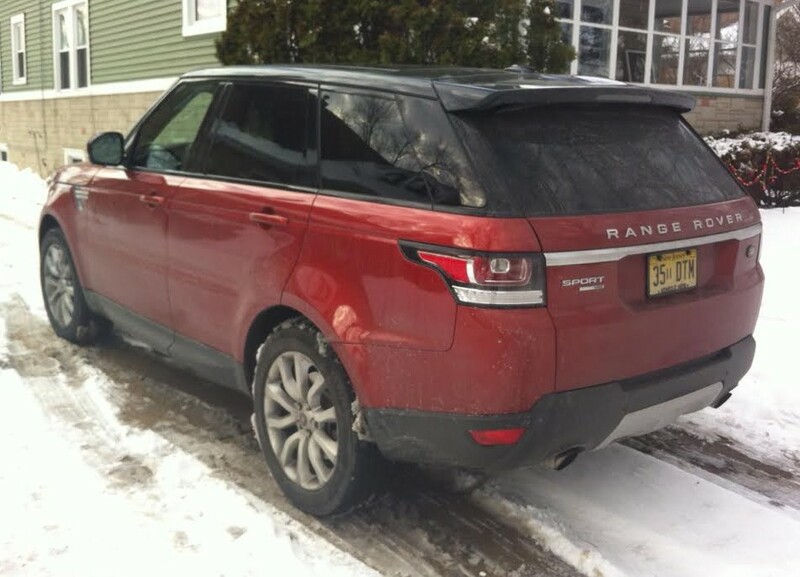 Even spattered with road salt, our test Range Rover Sport looked the part of a high-end luxury truck. “Everything” in the case of the Range Rover Sport starts with a 340-horsepower 3.0-liter supercharged V6. 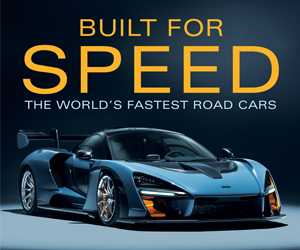 It delivers terrific off-the-line punch, and why not with 332 pound-feet of torque that peaks at a lowish 2000 rpm. Linear acceleration is experienced with almost-imperceptible shifts from the 8-speed automatic transmission. Engine and exhaust noise are muted well; the V6 Range Rover doesn’t sound like the hot rod it feels like. While not bad in Range Rover terms, my drive of 161.2 miles (68 percent of it under city conditions) averaged 15.41 premium-fueled mpg. The aluminum-structure body is quiet and tight feeling. Except for the high seating position, it’s possible to forget this is an SUV thanks to its smooth on-road ride. Materials throughout are, as always, true luxury-grade. The HSE’s standard perforated-leather seats are comfy and cosseting for four, but there’s room for a third in back if need be, albeit on a stiff, slightly raised center section. Leg and head room are bountiful in either row. Doors open wide to aid getting in and getting out (though I repeatedly scraped my head on entry). Step-in height is a little tall. Fairly big windows are helpful for vision, though second-row headrests fill up the straight-back view in the mirror. Cabin storage in front consists of good-sized door map pockets; a big glove box; twin cup holders with a slide-top cover; and a covered console box with small side dimensions, but a deep drop. One pickable nit: The box sits far back on the console, which makes it difficult to reach into easily. Back-benchers get tiny door pockets, but there are mesh pouches in the seat backs ahead of them, and they have access to a plug-in power point and seat-heater buttons built into the back of the console. There’s also a pull-down center arm rest with twin cup holders and a small, shallow, covered compartment. 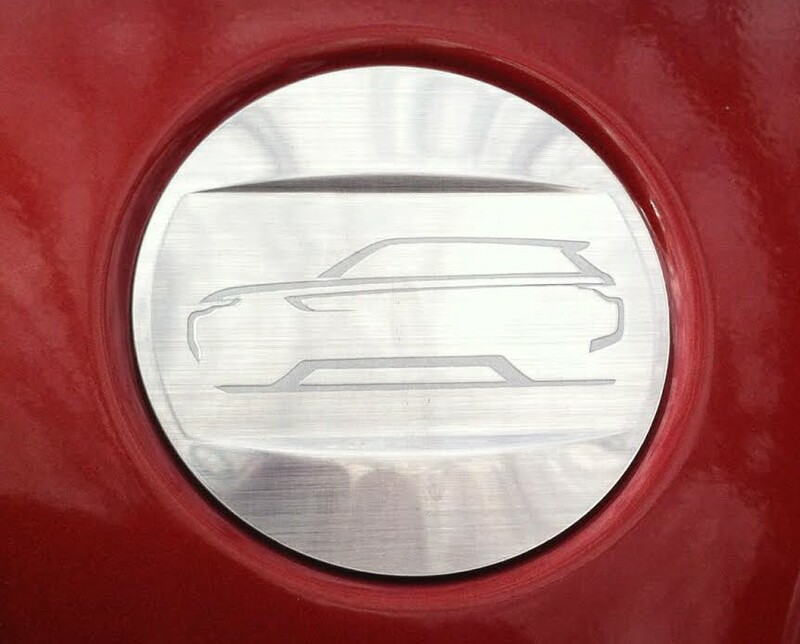 Hidden by the front door, this cool badge resides on the Sport’s B-pillar. At the rear is a big flat-floored cargo area with a conveniently low lift-over. Rear seats fold to provide more hauling capacity. As for comforts and conveniences, count Bluetooth phone connectivity and audio streaming among them. Audio, navigation, and other personal settings are accessed through an 8-inch touchscreen. Climate controls are adjusted lower on the dash with dials for temperature and fan-speed settings, with buttons for other functions. Curiously, one button has seat icons on it, but this doesn’t actually turn on the front seat heaters/coolers; it summons touchscreen images of seats and up/down arrows, and you tap on the arrows to work the system—which seems like a lot of work for something “lesser” vehicles seem to carry out far more directly. However, the button for the Range Rover’s steering-wheel heater is—surprise!—on the steering wheel, which is not as universal as you’d think for manufacturers who offer this feature. Gripes first: I found both the throttle and brakes to be surprisingly touchy at first, but I acclimated pretty quickly. Additionally, the media-control system is pretty clumsy. Using voice commands is pretty much the only way to change radio stations or locate music on your phone. That’s it. Those are my complaints. Otherwise, the new, lighter, even nicer looking Range Rover Sport is a charmer. Much praise goes to the new standard engine. Shared with Jaguar, the 340-horsepower supercharged V6 works amazingly well with the new 8-speed automatic transmission. Frankly, there is so much power available at all times that I question the need for the available V8. Better still, our average of almost 16 mpg is a solid 4 mpg bump over our last test Range Rover Sport, that with the old standard 5.0-liter V8. Apart from some fussy audio-system controls, there’s very little inside the Range Rover Sport not to like. I spent most of my time with the Sport working though crummy winter conditions and found the big Brit rig up to the task of dealing with slick surfaces and accumulated snow. I never did notice any difference in vehicle behavior in switching between AWD modes, but that’s all fine if I’m getting safely through the rough stuff. The cabin is opulently attired, almost to the point of making me nervous. There’s high-grade cowhide everywhere, and all the switch gear looks and feels like precision hardware. Apart from some nominal bobbing, the sort of thing you usually associate with a vehicle on a shorter wheelbase, the Sport rode like a luxury sedan. Handling, too, was sure and tight, if not overtly sporty. I’m a big guy, and found this Rover a little tough to climb in and out of. More so than say an Audi Q7 or BMW X5. But that’s more my problem than the vehicle’s. Color me impressed. Further, I am pretty sure this is one of the most pleasant vehicles you can buy that comes ready to wade through—according to Land Rover—33.5 inches of standing water. 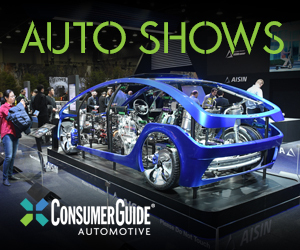 Written by: The Daily Drive staff on January 23, 2014.on March 26, 2019.